Happy Easter to your beautiful family! How I admire families who remember to take pics while everyone is dressed up! Happy Easter, dear Jessica. What a gorgeous family! Happy Easter, Jessica. What a lovely family photo! Snuggles' aversion to the camera is so funny! Looks like you had a lovely Easter! Looking forward to your next Easter post. Beautiful family Jessica! Happy Easter! 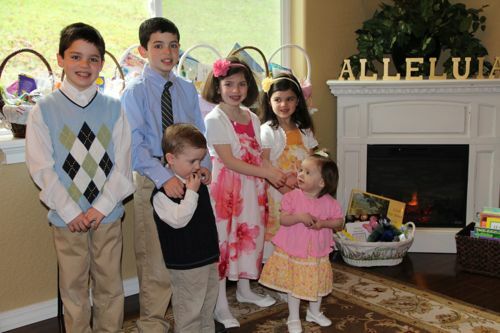 Happy Easter Jessica and family..."Christ is Risen, Alleluia!" 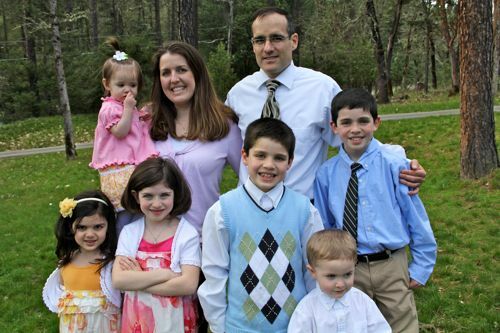 What beautiful Easter photos of your precious family. Praying your Easter season if full of many special graces.